The two-handled clip lead is designed for two people to be able to share walking one dog. We make them in either one colour or two colours, they are 1.2m in length and they are ideal for two adults or an adult with a child. 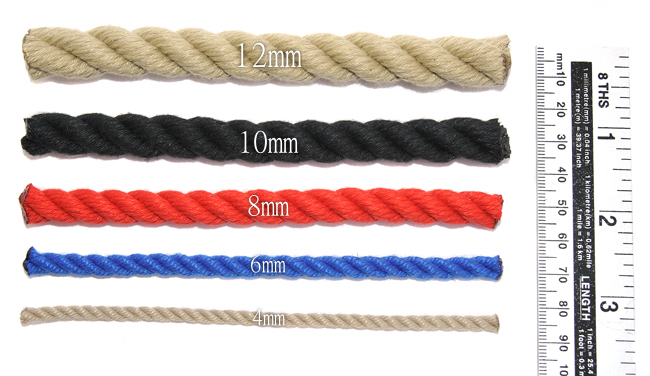 Choose the colour of the main lead using the "Rope Colour" selection box, and then pick the colour of the second handle using the "Secondary Rope Colour" box. 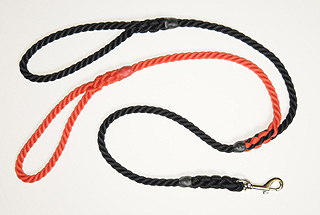 Due to the number of possible colour combinations, these leads are hand made to order. ideal for daddies to ensure safe leading of energetic dogs with small children - 3yr old granddaughter thinks she's leading the husky but dad is really in control! !